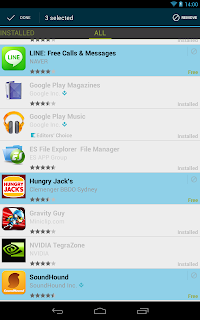 So you've been download plenty of apps from the Google Play Store for a few years now. Back then, it was still called the Android Market (nostalgic) and was limited in visual appeal. With each update Google made, the Google apps became more powerful and beautiful. With the recent updates of the Play Store, it allowed the functionality to remove those unwanted apps from your "My Apps" list. You can easily remove any app you don't want showing in your list by pressing the "Remove" icon (the icon with a circle and a line through it). However, if you got a huge list of apps (like me), it would be a pain to remove them one by one manually. Here is a simple trick that will save your time and energy. Simply long-press on one of the apps you want removed and a menu bar will show at the top. Continue selecting all the apps you want to make disappear by pressing on each one. Scrolling down won't cancel the action. Once you are happy, simply hit the "Remove" button, and bam!, all gone. 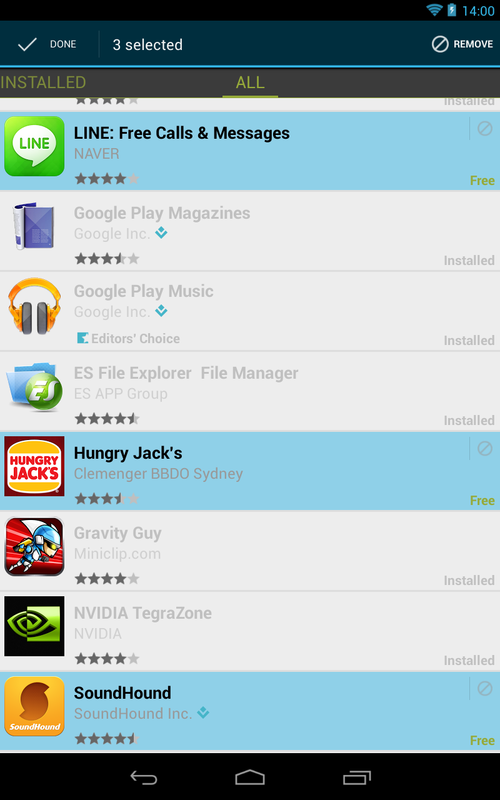 Note that you cannot select apps which are already installed on your device. Don't worry about your paid apps. They will still be there in the Play Store and owned by you, but they will not show up in your "My Apps" page. This is one technic you would want to keep in mind as it is extremely useful for clearing out the junk in your list!